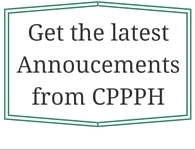 CPPPH Board of Directors | California Public Protection & Physician Health, Inc.
Matthew Goldenberg, D.O. is an expert in the evaluation and treatment of mental health disorders and is an addiction specialist in Santa Monica, CA. He is Board Certified in Psychiatry and Addiction Psychiatry. As the Associate Medical Director of the Professionals Treatment Recovery in Santa Monica, CA Dr. Goldenberg provides psychiatric and addiction evaluations and treatment to help professionals achieve and maintain lasting recovery. Dr. Goldenberg is an active author and researcher who is well published from Huffington Post to peer-reviewed scientific journals and is a frequent invited speaker at national mental health and addiction conferences. Dr. Goldenberg also volunteers his time as a clinical instructor at the UCLA Department of Psychiatry. President and Founder of Metropolitan Pain Management Consultants, a Medical Group, Inc. in Sacramento; board certified in internal medicine, in anesthesiology with added qualifications in pain management, pain medicine, and addiction medicine. a member of the California Medical Association (CMA) Board of Trustees. Board certified psychiatrist and certified addiction medicine specialist who is currently the Medical Director of San Mateo Behavioral Health and Recovery Services. Director of the UCLA Addiction Medicine Service and Professor in the Department of Psychiatry and Biobehavioral Sciences, David Geffen School of Medicine, Dr. Miotto has chaired the Medical Staff Health Committee at UCLA since 2008. A family physician in fulltime private practice in Encinitas, CA in the North Coast Family Medical Group; a member of the California Medical Association (CMA) Board of Trustees since 1994 and 2011-12 President of the Association. My personal background in adult and child psychiatry, psychiatric education as a Clinical Professor at the University of California Irvine, clinical research, extensive APA organizational experience, including special projects, leadership activities, and over three decades of private practice in the community are key to making me uniquely qualified to represent all of us in advancing, supporting, and defending our practice, principles, science, and profession.